I'm going to be changing up my monthly favorites post a bit by doing monthly recaps instead. I haven't been wearing as much makeup compared to previous years and so I don't really have that many new favorites. I also don't want to be too repetitive and so I wanted to incorporate my "Meh" products in which I do like, but don't love, and "Dislikes." Memebox kindly sent me a PR box for free containing some Nooni lip products. I'm a huge fan of lip oils and so I was so excited to see some in the box. While the Applecoco and Applemint are good, my favorite of the bunch was the Appleberry shade since it gives my lips such a gorgeous bright red tint. It's thicker than the YSL tint in oils and so it feels more moisturizing for my dry lips. Since the color is sheer, I never feel overdone while wearing this and the shine and color fades so nicely that I never get that weird ring of color around the edges of my lips. I've kind of been on a foundation spree. I think I saw too many YouTube videos about the latest foundations lately and when I went to check out the latest NARS foundation, I ended up disliking how it swatched and got the Velvet Skin Tint instead. I've actually wanted this for a while and ended up using my Ulta birthday gift ($10 off) to get it. It has a light mousse like formula and has more coverage than the standard tinted moisturizer or skin tint. I usually just buff it in with a brush and it give me a beautiful velvet or natural matte finish. Even though there's SPF in it, I always wear a separate SPF and the skin tint still looks beautiful all throughout the day. When I'm in a rush, I can also rub this tint in with my hands and it never looks patchy or uneven. I work in an office and this product still looks beautiful under very unflattering office lights. For someone with dry cheeks and an oily t-zone, I can see this product working on multiple skin types. One of my first makeup loves was a simple winged bronze eyeliner look. It was different from the standard black and I thought it was absolutely gorgeous. 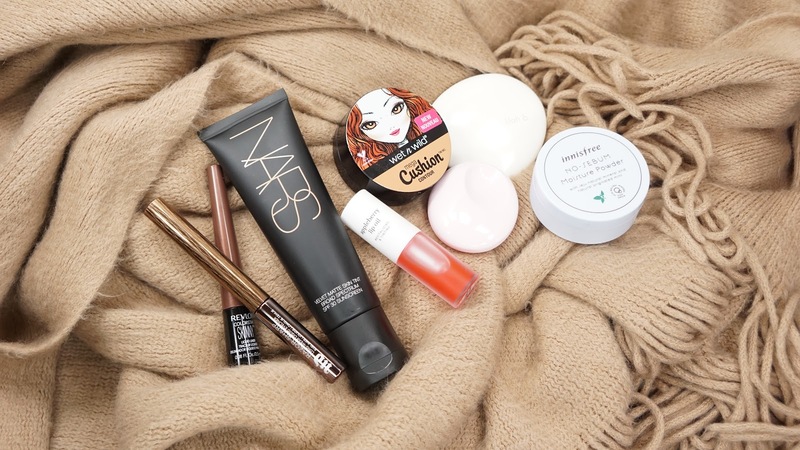 I started thinking about that look recently and ended up getting the products below. These aren't exactly part of my makeup favorites since I don't really love either formula, but they've reignited my love of bronze eyeliners. Wet n Wild MegaCushion Contour in Cafe au Slay! I'm not a fan of the packaging especially since it's not even like the normal packaging of cushions with the flip out lid. I immediately threw away the second lid that held the applicator since the pressure seemed to almost push product out of the bottom portion of the packaging. Since the price is more on the affordable end, I kind of put up with the packaging since the product is amazing! 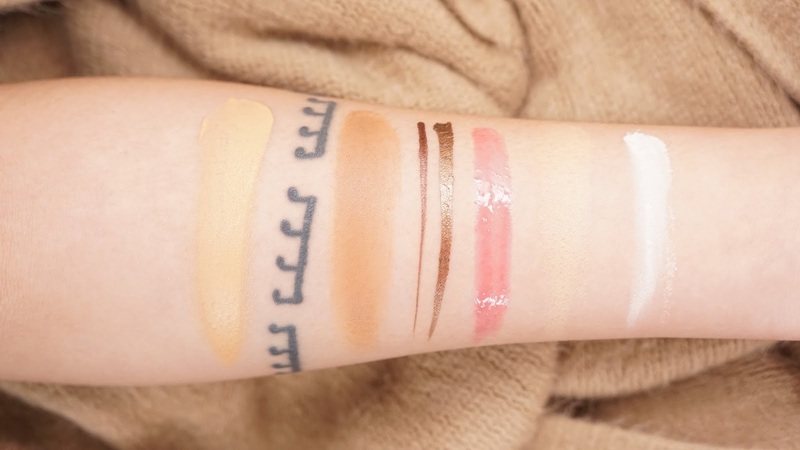 It's a very thin formula and so it's very easy to build up the pigmentation without making it look cakey or patchy. The liquid formula blends so well into my liquid or cream foundation to make everything look seamless and natural. It's thinner than cream formulas too and so it's easier to blend out for me without disturbing my foundation. I sometimes use this as a base for my contour and/or bronzer powders if I want a more multidimensional chiseled look. The color works for me, but I can see it being hard to use if you have darker than medium dark skin tones. You would think with a $48 price tag, this powder foundation would make me look like perfection. Unfortunately, it's like a slightly tinted translucent powder. 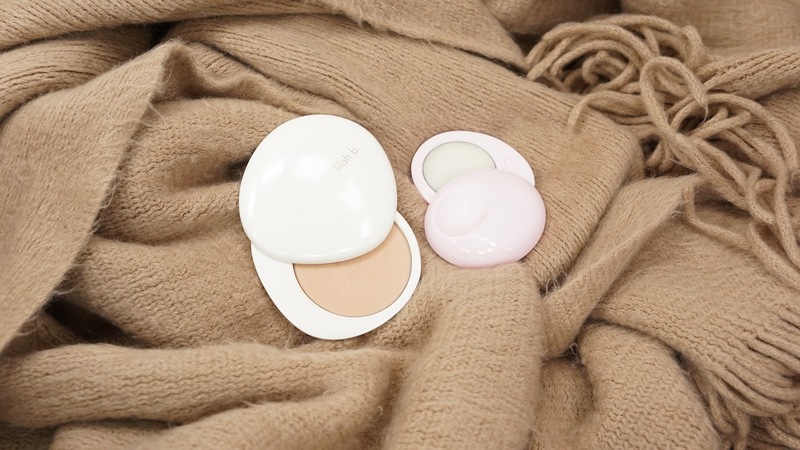 I'm going to keep using it as a setting powder, but I would rather use the Tarte powder foundation since it has a pretty solid medium coverage with just a light layer. I like how the Lilah B. powder looks on my combination skin and how the packaging feels so luxuriously weighty, but it doesn't even have a mirror so it's less likely that I'll bring it around for touch ups. I usually like fresh or citrusy fragrances but I quite like Glossier You. I get the samples whenever I make an order, but I'm not ready to commit to a full bottle. When the solid came out, I jumped on it since the packaging looked amazing and it was a lot more affordable especially since I only wear fragrances 2-3 times a week. Unfortunately, the scent started to go away after a week of using the solid and it now kind of smells like wax with a bit of You mixed in. Once I run out of my at least another bottle of perfume, I'll be picking up the bottle version of You instead. 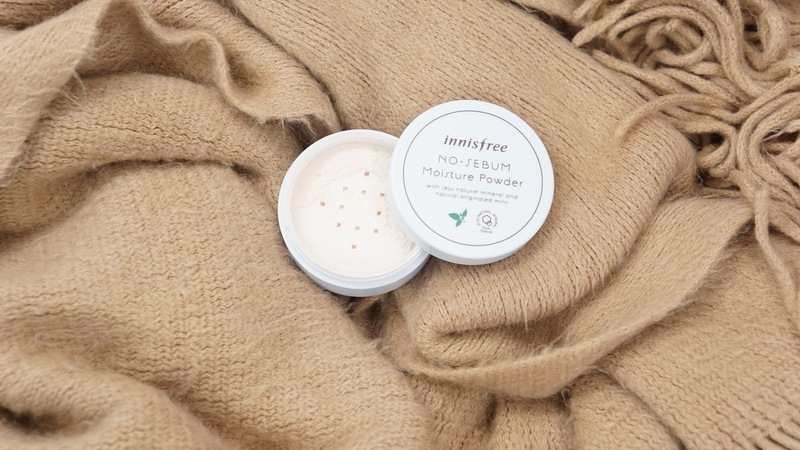 I had such high hopes for this powder especially since the original No-Sebum powder is a HG powder for a lot of people. I feel like because there's some kind of moisture in this powder, it does cling to itself. It's not as silky or smooth as the original or other powders I've tried and it cakes up so fast. I thought it would glide over my skin and dry patches, but it emphasized everything and just looks so bad. Not even going to include links for this product since I dislike it so much that I wouldn't even recommend it to anyone else. Wet n Wild Cafe au Slay! What did you use during February? 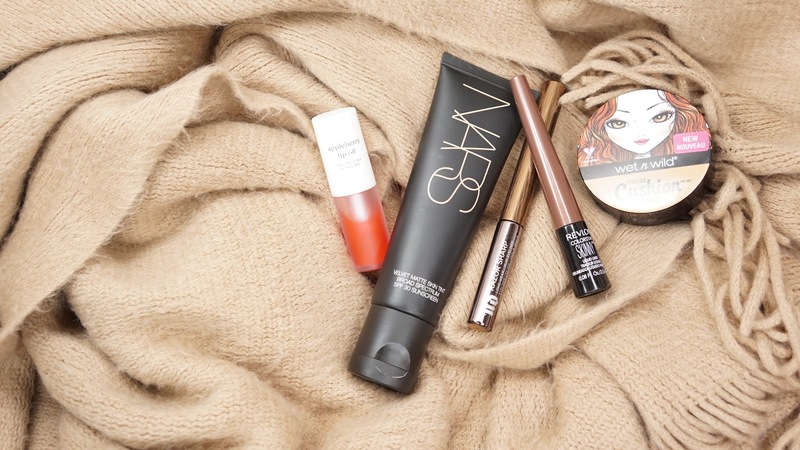 Did you find any new favorites? * Memebox sent me this product for free to test out. All thoughts are my own and 100% honest.